Formaldehyde is a chemical compound that is used for a wide variety of applications involving cosmetics and clothes. You might recognize the smell of it being used to preserve human or animal bodies through the process of embalming. It’s also used as a preservative in vaccines, but that doesn’t mean it isn’t poisonous. Exposure to formaldehyde causes a range of symptoms in non-allergic people, but when you have an allergy to formaldehyde, you could develop severe symptoms like allergic contact dermatitis and pneumonitis. Let me explain how formaldehyde can damage your body and how avoiding it is necessary for health and well-being. Here are also some ways to avoid formaldehyde every day and formaldehyde allergy treatments that may lessen the severity of your symptoms, as they have for me. The chemical Lewis structure of formaldehyde. It may look simple, but it is poisonous. Non-Allergic Effects on the Body: Irritation of skin, face, and mucus membranes can occur. Inhalation of formaldehyde results in damage to the lining of the nose and throat. Long-term statistical research suggests that formaldehyde causes occupational asthma. For a person that is allergic to formaldehyde, exposure can be extremely uncomfortable and highly inconvenient. Since this chemical is everywhere around us, it must be disturbing to live with the constant anxiety of coming in contact with formaldehyde. Because if you do, you may experience allergic contact dermatitis or a red, itchy rash on your skin at the site of the exposure. Allergic reaction on skin due to formaldehyde exposure. This is called allergic contact dermatitis. It can be caused by washing clothes with formaldehyde products/detergent. If this happens to you when you put on a fresh set of clothes, I would definitely switch your laundry detergent or fabric softener. These commonly contain formaldehyde ingredients, which may also be under another name or chemical form of it. This means you have a more severe allergy to this already poisonous chemical compound. When formaldehyde is dissolved in water, it turns into formalin. This is commonly used as a disinfectant and antimicrobial, as well as a preservative in many processed foods and products like antiseptics, medicines, and cosmetics. Natural ingestion of formaldehyde is inevitable for small amounts of it. However, our modern societies expose us to an extremely large amount of it. How do you remove formaldehyde from food before you eat it? Whenever you buy any of these food items from the store, thoroughly wash all food with running tap water. Formaldehyde is soluble in water and washing it will definitely help remove the chemical. You can also soak dry food products like mushrooms in clean water and then discard the water that you used. Also, cook all food thoroughly at an internal temperature of 75 degrees Celsius or higher because the heat can evaporate the formaldehyde. How Does Formaldehyde Damage Our Bodies? Regardless of whether or not you have an allergy to formaldehyde, this poisonous chemical clearly damages biological cells and disrupts their proper functions. Researchers from NIEHS have reported that formaldehyde damages cellular DNA and causes extensive, irreparable damage to essential proteins. Federal regulations in the United States and European Union have responded to these findings by regulating formaldehyde emissions from wood products, like furniture and paper. Reasons behind new legislation like this are explained for the purpose of preventing cellular DNA damage, protecting the process of cellular replication, and prevention of cancer. This protects the health of the population that the country is governing. To find out if formaldehyde is directly the cause of damage to human cells, researchers isolated different types of lung cells and exposed them to formaldehyde or formalin. In all three types and every trial, the cells’ proteins were damaged. Interestingly, researchers have noticed the action that occurred during cellular damage by formalin. Cells responded similarly to the way they do when they try to defend themselves from excessive heat damage, which harms the structure of proteins. The cells tried to eliminate the damaged proteins as fast as possible before they accumulated, but the efforts always failed and the cells mostly died. When researchers tried to eliminate this self-defense mechanism, the cells still died due to formaldehyde exposure. Researchers have concluded that formaldehyde causes severe damage to cellular proteins, which may result in a wide range of diverse effects that can be displayed as symptoms in the body. There don’t seem to be a few distinctive symptoms that can characterize the damage done by formaldehyde directly. This chemical also causes cells to shrink, swell, and form bubbles inside. This could be due to nucleus changes or changes in cytoplasmic structure. This soap is awesome, made of natural oils and free from formaldehyde and everything else that’s bad. It’s a multi-soap that can be used as a body wash, shampoo, detergent, etc. You’ve got to try it, here’s a cheap price. To diagnose a particularly sensitive individual with formaldehyde, a professional may do a patch test on the skin of the patient and observe their response. For people that have an exaggerated immune response to formaldehyde exposure, they experience allergic contact dermatitis or a red, itchy, inflamed rash on the site of exposure on their skin. The testing is done with a patch soaked in 2% aqueous solution with formaldehyde or formalin as its main ingredient. If a person is allergic to formaldehyde, they will experience contact dermatitis underneath the patch. However, the concentration is so small that it should not be uncomfortable or bothersome to experience the allergic reaction. It should be just enough to physically observe a reaction to determine if formaldehyde is an allergen of yours in particular. You can try out this patch testing with your doctor if you want to be sure of your allergy. In my opinion, you could just put a small amount of formaldehyde on your skin and observe the effects. You should notice a familiar itching, and then you will be sure that you are allergic. Formaldehyde can be found in many things throughout your home and especially in some nail polish and removers with the highest concentration of it. LOL my apologies for the bad chemistry joke. Formaldehyde and formalin are common ingredients found in vaccines and they are put in there to prevent the growth of microbes and preserve the effectiveness of other ingredients. It seems that alternatives are starting to be incorporated due to the adverse effects that many people and children experience. If you suspect that you are your children have an allergy to formaldehyde, then you can ask your doctor about it before you receive any vaccines. Usually, the administrators will give you a quick skin test to determine if it would be safe to give you a vaccine, although this may not be definitive proof and you may still experience adverse effects. What may benefit you and help you avoid exposure to formaldehyde is obtaining and ELISA for IgE anti-formaldehyde or another administered skin test to give you documentation of your allergy that your doctor will always recognize. Then, alternatives will be considered to your formaldehyde allergic body or child before you are given the vaccine. That is what I’ve done. For as long as I can remember, anything with formaldehyde has given me problems and I dislike this chemical for many reasons. First of all, the smell really turns me off and makes me want to throw up. I associate it with death or dying, as well as dissections that I had to do in high school and college. Formaldehyde just follows me around everywhere and my allergy to it doesn’t make living with this poison any more bearable. Whenever I have gotten a vaccine injection, I get the weirdest adverse effects, like stiffening of my body around the site of injection. For instance, I’d get a shot in my shoulder and my shoulder blades would be extremely stiff for a few days. On top of that, my upper back would break out in cystic acne. I think that is due to my formaldehyde allergy. I also experience allergic reactions whenever I eat the foods containing formaldehyde that I had mentioned previously. These food items make me itch similarly to the symptoms of oral allergy syndrome, and gives me headaches. Headaches are actually my most common symptom of my allergy to this stuff and I know that many others experience the same. Even if I smell formaldehyde on a preserved animal body, I experience the worst painful headache even hours after I can’t smell it anymore. I don’t think that there is any way to cure your allergic reactions to formaldehyde because this chemical is a poison that affects your body regardless of whether or not your immune system reacts strongly to exposure with it. However, there are a few ways that I treat all my allergy symptoms all at once and it simply involves treating the areas of your health that are lacking or deficient. Everybody’s health and well-being is unique, but I think there are a few concerns that everybody, especially parents, should consider for themselves and their children’s health. One of them is the growing problem of biological sulfur deficiency. It seems that our organic soils are becoming too stressed due to the demands of overpopulation, factory farming, and use of inorganic pesticides and fertilizers. We are overworking our soils and sucking out the minerals while not allowing it to naturally turn over and renew itself over time. There’s simply no way we can put sulfur back into our fertile soils after reusing them, so crops are unable to absorb minerals like sulfur so that we can ultimately consume it and use it for our body’s processes. I think that sulfur deficiency explains the rise in allergies amongst newborns and younger generations. Sulfur deficiency gets worse and worse as you go down the generations because sulfur deficient parents pass down the nutritional problem to their babies. This will present a huge problem for the future of humanity if we don’t start to recognize it. Thankfully, there is a simple way to isolate biologically available sulfur. MSM is the form of sulfur that our body’s cells use for nutrition and cellular function. We can actually consume this isolated biological sulfur in the form of crystals and it will immediately be absorbed into our bodies for use. This is the best organic MSM supplement that I’ve found and you guys seem to love it too. This is the cheapest price I could find for it. 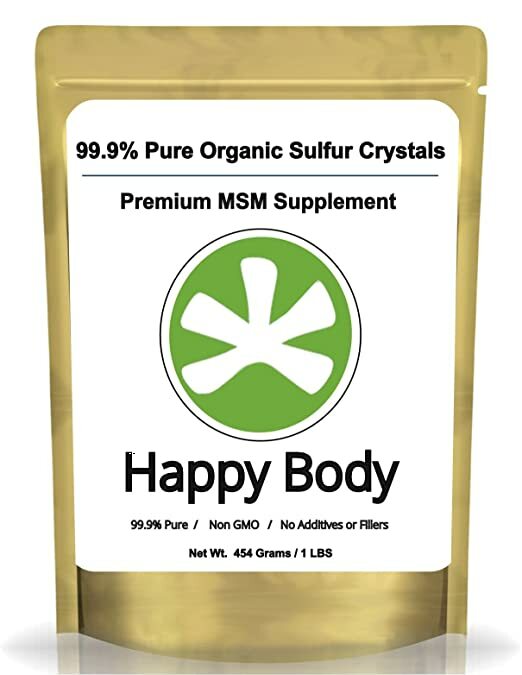 I take a small, tasteless dose of organic MSM crystals daily and it has improved my allergy symptoms tremendously. It even healed my intolerance to legumes and shellfish. Once you take your first dose of biologically-available sulfur after years of being deficient, you will experience a jolt of fresh, natural energy that will make you feel like you’ve gained a part of yourself back again. And that’s because you have: proper nutrition. Sulfur is the most problematic mineral deficiency, in my opinion, and there are many others, including silica, calcium, and magnesium. Most of my allergens, including formaldehyde and seasonal pollen, do not affect me severely any more. Research shows that supplementing with a dose of MSM dramatically reduces the severity of allergic reactions in the blood for 12 hours. I use it as a natural replacement for addictive OTC antihistamines, allergy drugs, and steroid nasal sprays. I highly recommend that you try some of this stuff for yourself and your children, while investigating some of the other potential deficiencies you could have in your diet and lifestyle. Click here for the best deal for organic sulfur that I use every 3 months or so. Let me know if you can find a better one! Yes, this chemical is bad for you because exposure to formaldehyde has been proven to damage your cells’ DNA and proteins that provide for proper function. There is much legislation in every first-world country that regulates the emissions of formaldehyde released into the environment because governments recognize it as a poison. Yes, it is dangerous. Like previously mentioned, it has been proven in research to permanently damage cellular DNA and proteins. It is poisonous. Can Formaldehyde cause Birth Defects? Yes, it can cause birth defects. It can actually do anything to you, like alcohol, because it directly affects the foundation of your health: your cells. When your cells are damaged, anything can happen to your body and any range of symptoms can develop that you may or may not physically observe. Is Formaldehyde in a Flu Shot? Yes, formalin is in flut shots and many other types of common vaccines. It can be a significant amount, but that doesn’t mean you should avoid vaccines. Perhaps the benefits outweigh the risks in this case, but you should always talk to your doctor about it because she has all your documentation and can give you medical advice properly. Can Formaldehyde Make You Sick? Yes, it can make you sick. It causes cellular damage. Death shouldn’t be a worry regarding formaldehyde exposure, but the long-term suffering of your health should be. The same can be said about alcohol, a similar chemical. You can consume a lot of the poison, but it may not kill you. But it can because it causes damage. No, formaldehyde and formalin won’t get you high. Don’t try, please. Yes, it can cause seizures due to possible nerve cell damage. Formaldehyde damages all types of cells. Does Formaldehyde cause Headaches or Migraines? Yes, it can cause migraines as a symptom of exposure. This is what I experience personally and I have a formaldehyde allergy. Does the Rash from Wearing Fresh Clothes Mean I am Allergic to Formaldehyde? Yes, getting a rash on your skin when you come in contact with something you are allergic to, it will commonly cause a rash. This is especially true for formaldehyde and formalin exposure. You are probably washing your clothes with it as an ingredient, or with some compound derived from formaldehyde will be under a different name. Is There a Cure for This Allergy? No, there is no cure. However, there are some treatment that help treat the root cause of the allergy in the first place. The same can be said for all allergies. If you provide essential nutrition that you are lacking in to your body, your allergy symptoms should dramatically improve like mine have. Consider sulfur as your first potential mineral deficiency. Does this Allergy cause Hives? No, formaldehyde will not give you hives. When you have an allergy to it, it’s most likely going to give you typical allergic contact dermatitis or a red and inflamed rash. 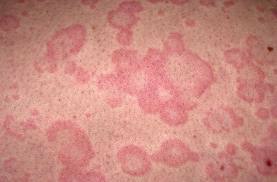 If you are experiencing hives, perhaps it is something else causing it. If you have a question or something to add about formaldehyde allergy relief, please leave me a comment below! Thank you for this information! I bought new bedding at the beginning of June, used it for about 4 days and began breaking out in a horrible rash around that time. I got rid of the bedding immediately and read into it + contact dermatitis, so I figured that’s what I have. My only issue is that my doctor, who didn’t seem too worried about it, put me on a 6 day steroid dose pack, which helped clear things up a bit, but as soon as the steroid was out of my system, it came back! Does this sound normal? I don’t have much experience with allergic contact dermatitis, but formaldehyde/chemicals in sheets have been the only conclusion I can come up with since the rash is only on parts of my body that sheets would have touched, re: not much on my face, torso, or neck, etc. Just my legs, arms, hands, the lower part of my back where shirts tend to ride up while I sleep, and a very small amount on the top of my feet. In fact, the only part of my arms with the rash are the areas with no hair (mostly my inner forearms). It sounds like the steroid cream was just blocking the inflammation that caused the rash. Your allergic reactions still probably exist despite the medication. Whether it’s formaldehyde allergy or not, you might need to avoid whatever allergen it is. I was first aware of a Formaldehyde allergy when I received the flu vaccine for the first time. Within 5-10 minutes I felt odd, my throat felt tight as if someone had a grasp around my neck and I became short of breath that I felt compelled to gasp. That is the worst it got. My doctor diagnosed me with a Formaldehyde allergy. For years I only took the preservative free vaccine, the last two doses caused a local reaction now I skip it altogether. In Nov 2017 after a chemical hair dye treatment and the use of a hair spray gel, my face swelled and I broke out in patches of hives with rash even on top of the hives. Hair products I’ve found out are loaded with multiple chemicals that are formaldehyde producing. I have two more episodes since but was put on Prednisone again before it worsened. This chemical is in more products then I realized! The eczema patches on my hands are discolored and won’t go away. They fade with Prednisone but never entirely. The skin on my hands feels rough. I’ve always had soft skin. I have patches on my sides and my thighs that are the same. I have a scheduled referral appointment with Dermatology in August. Is the chemical, Formaldehyde eliminated by our bodies or does it stick with us? Thank you for your information, it’s definitely helpful. I have begun taking the free form NAC 600 mg for my skin but will look into the MSM you recommend! I believe I’m having major problems with this right now. I moved into a new house with new furniture. I have all the symptoms but the rash. Thanks for the info. Sounds like formaldehyde could potentially be the problem! It’s a very common allergen.